To use watt bikes the gym need to have supported watt bikes and the special Activio edition with watt support. Contact: support@activiofitness.com or sales@activiofitness.com for more information. Select your chest belt number or log in with your user profile. Enter the max heart rate (if you use a user profile this is not necessary). 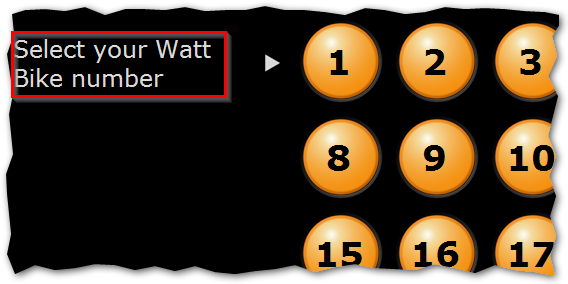 Select the number of your Watt Bike.